It was with great sadness that we learned of the passing of our much-loved former parish priest, Eugene Kennedy. He ministered in the parish from 1985 until his retirement in 2006. His presence will be forever felt within the community as he worked tirelessly during his time as parish priest to build up the parish in so many ways. Ar dheis Dé go raibh a anam dílis. Eugene's remains were brought to the church on Thursday 14 March, arriving at 7pm. 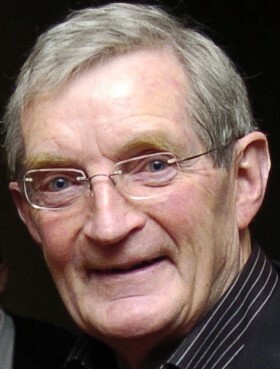 His funeral mass took place on Friday 15 March at 11am followed by burial in Our Lady's Island Cemetery, Wexford. Please note that both ceremonies were recorded and can be viewed on the webcam link on the site. Welcome to the website of the Parish of St Thomas the Apostle. This is a vibrant community of believers located between Castleknock and Blanchardstown in West Dublin. The parish stretches from Junction 6 on the M50, goes south through the Castleknock Road, across to the Carpenterstown Road and almost down to the back of Castleknock College. It comprises the estates of Laurel Lodge, Carpenterstown Park, Bramley, Oaktree, Laverna and Ashleigh. However, our parish is not bounded by physical boundaries. We are a community of believers who worship here and all are welcome. 2018 was a special year for us as we celebrated the 25th anniversary of the opening of our church. We also began streaming our masses and other services live from the church to anywhere in the world. You can also view recent ceremonies. Just click here to have a look.